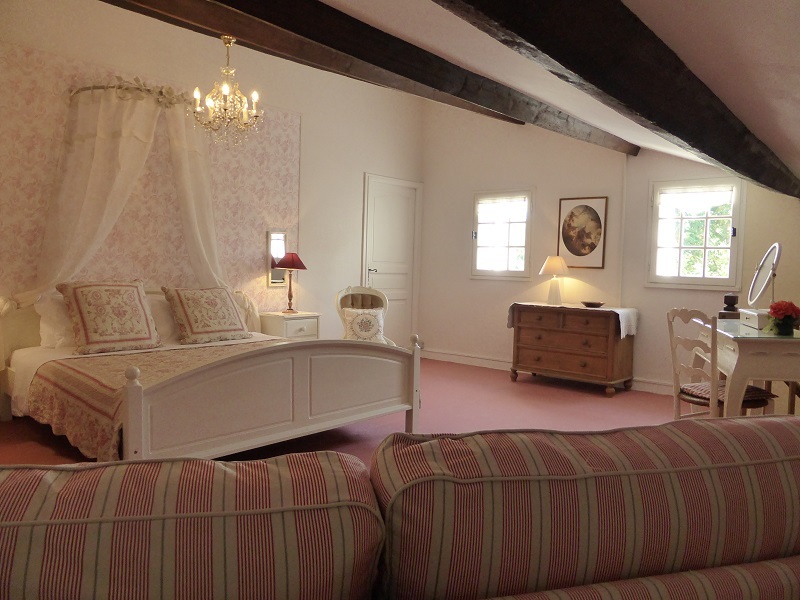 There’s nothing ordinary about a holiday with Cottages and Classics gites and B&B at La Rose des Vents. 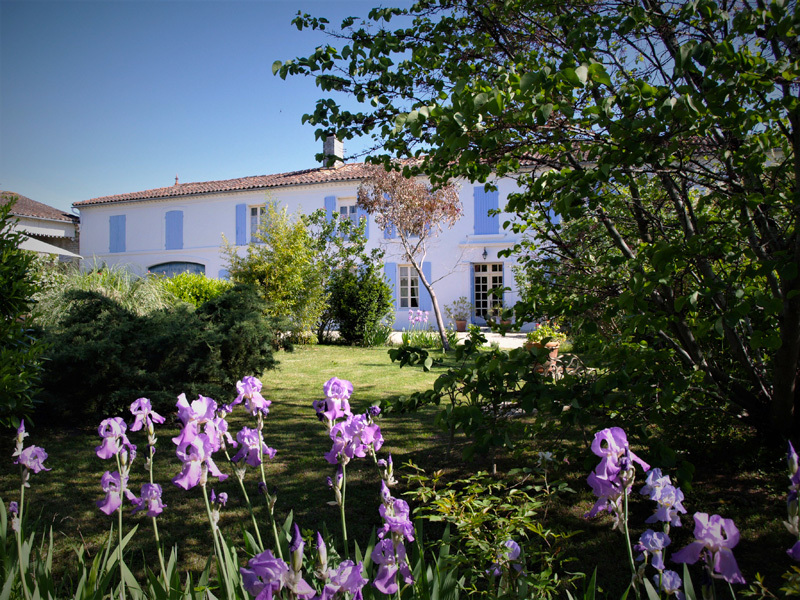 The former Cognac domaine consists of an elegant Manor House and two charming cottages in La Tacherie, in the heart of stunning Charente-Maritime, southwest France. Cottages and Classics offer a diverse range of options for holidays from self-catering, B&B mini breaks or B&B with a classic car experience. And, if you’re coming by Brittany Ferries, speak to your hosts, Lyn and Graham Peek, in advance, they’ll get you a 20% discount. There are two charming cottages that are available to rent: the Rose Cottage (sleeps 7 + cot) and the Manor Cottage (sleeps 6 + cot). Decorated to a high standard and wonderfully comfortable, they contain everything you need for a relaxing self-catering holiday. 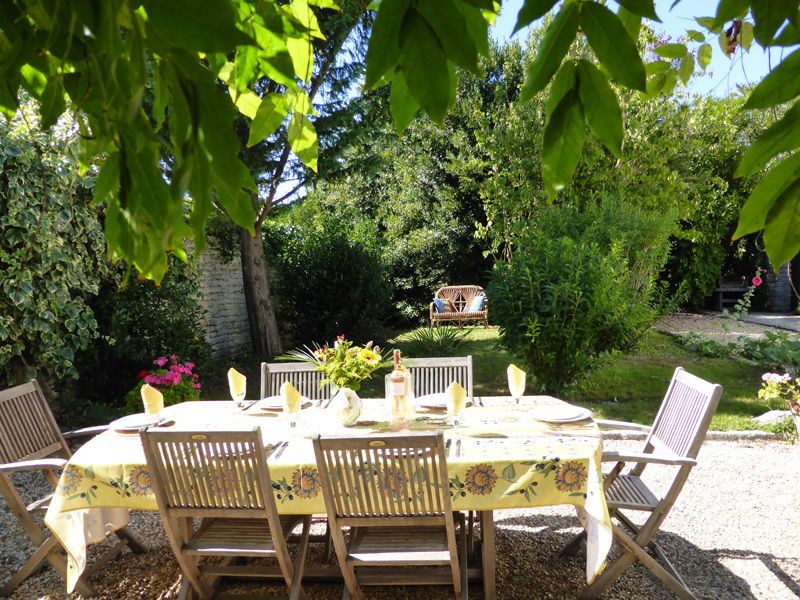 Gorgeous gardens will tempt you to sit and enjoy the views over vineyards or take a dip in the heated pool which is shaded by the orchard. If you wish, you can reserve a 3 or 4 course candlelit dinner on your first night, to be served in your cottage or under the stars in your private garden. 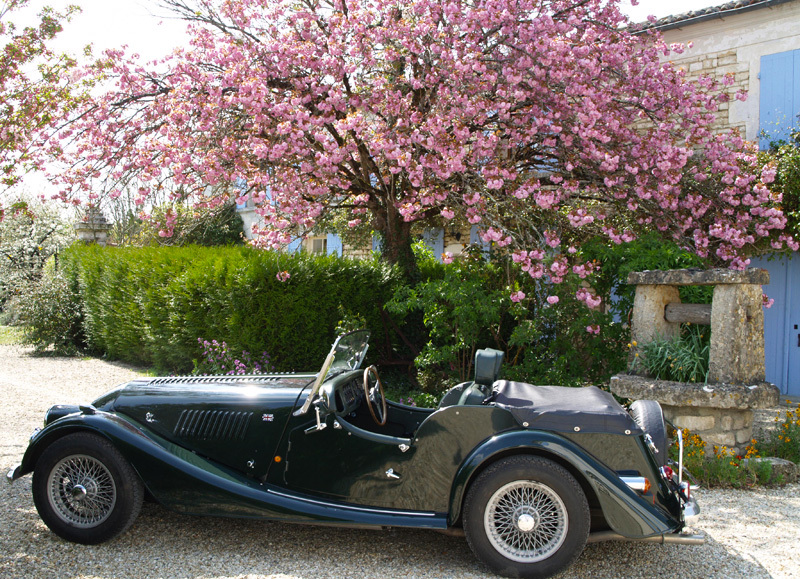 And, there’s a complimentary tour in a classic Morgan – a unique way to see the magnificent vineyards of the area. Cottages and Classics offer a diverse range of options for holidays from self-catering, B&B, mini breaks or B&B with a classic car experience. Book the Cottages and Classics Experience and included with several special luxuries, you will have the use of a 4-seater Morgan. There are two of these quintessentially British sports cars to choose from, perfect for touring the small roads of Charente-Maritime and boulevards of towns like Cognac, Angouleme and La Rochelle. Choose either the gleaming white 4-seater Morgan which adorns the courtyard or its neighbour, a shining 4-seater British Racing Green Morgan to drive around the glorious countryside – a selection of scenic routes is supplied. No traffic jams here, there are quiet roads through forests and meadows, fields of sunflowers and green vines. 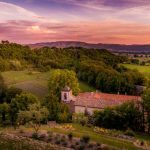 You’ll encounter picturesque villages where the local boulangerie tempts you to stop to buy a baguette, and cafés with tables spilling out onto the pavement lure you to stop and enjoy a refreshing drink in the sunshine. 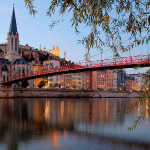 We don’t know of anywhere else that offers this fabulous option, what a wonderful way to see this outstanding area of southwest France in style. This would make a fabulous birthday treat or anniversary gift! Relax, celebrate an event or simply luxuriate with a sunshine break. 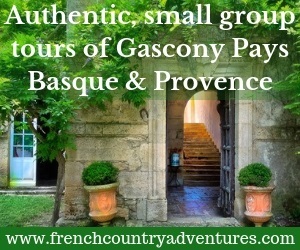 The self-catering break includes a complimentary tour round the local vineyards with your hosts as drivers. 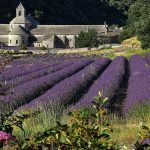 Indulge in a B&B mini-break with breakfast delivered to your cottage and afternoon tea and cakes await you on arrival day and there’s also a 4-course welcome dinner as well as a visit to a famous Cognac house included. Relax on the beach: Discover your favourite place to chill out, with miles and miles of perfect sandy beaches, you’re really spoiled for choice. 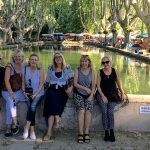 Go island hopping to the Ile de Re, beloved by the jet set for its beautiful villages, markets and chic bars and restaurants. 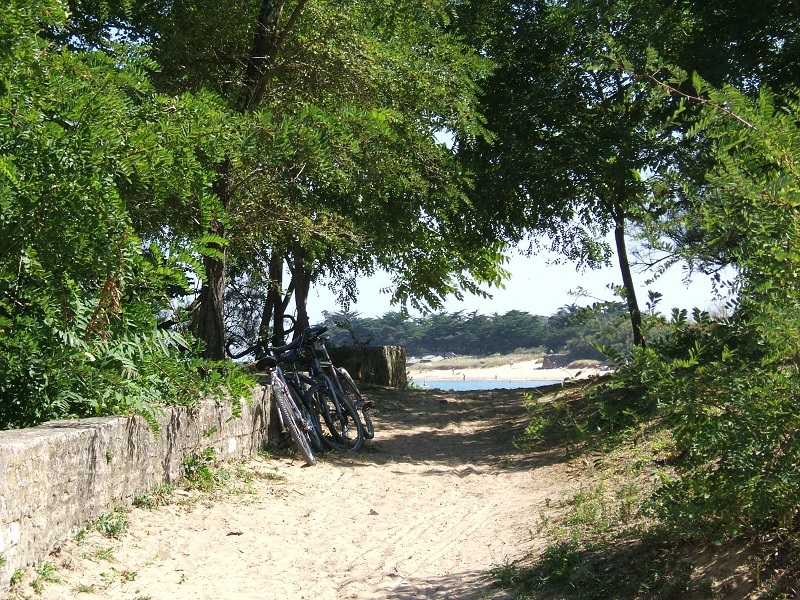 Or take the ferry to authentic Ile d’Aix, you’ll have to leave your car behind as this is a car-less island, but you can take bikes or hire them when you arrive and discover the hidden bays and secret coves plus lovely restaurants on the chilled-out island. Spend time in sparkling La Rochelle, the historic port town is lively and has some of the best seafood restaurants in France, don’t miss Andre’s – it’s a legend in the area. In Angouleme you’ll be bowled over by the incredible wall art in the town that’s famous for hosting a comic festival and a unique classic car race. 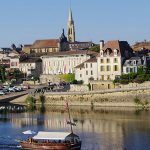 Each September the Angouleme Circuit des Ramparts brings the crowds to ogle at veteran, vintage classic cars which whizz around the city walls.